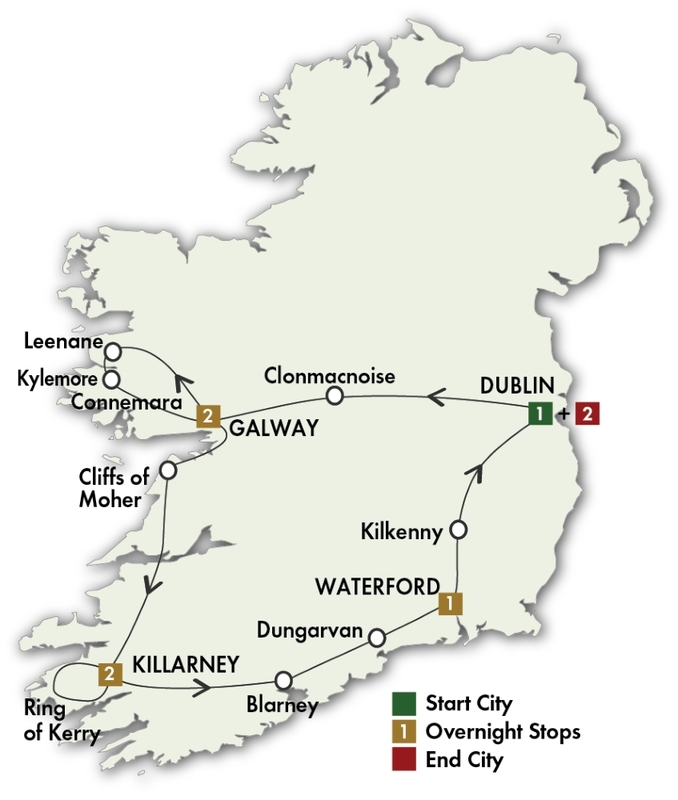 Tour begins 2:00 PM at your hotel just outside Dublin. Head out for an introductory tour of Dublin including O’Connell Street, St. Stephen’s Green, the seat of government at Leinster House, and other public buildings. Take a stroll through Trinity College’s campus in the center of the city with a guide and view the priceless 8th-century Book of Kells, an illuminated manuscript of the four gospels. Enjoy a welcome drink with your group and then an independent evening at one of Dun Laoghaire’s many restaurants or pubs.